Your Vultures usually shy away from commercial syrups because it’s so easy to make great syrup with fresh ingredients in your own kitchen. But fruit syrups are only as good as the fruit you just bought and at the wrong time of the year, those pretty red berries are actually flavorless. Marco Polo to the rescue! We were enticed to pull this bottle off a shelf at our favorite market, Adams Fairacre Farms, and were rewarded by its bright taste of raspberry and natural sugar, with no artificial ingredients or preservatives. 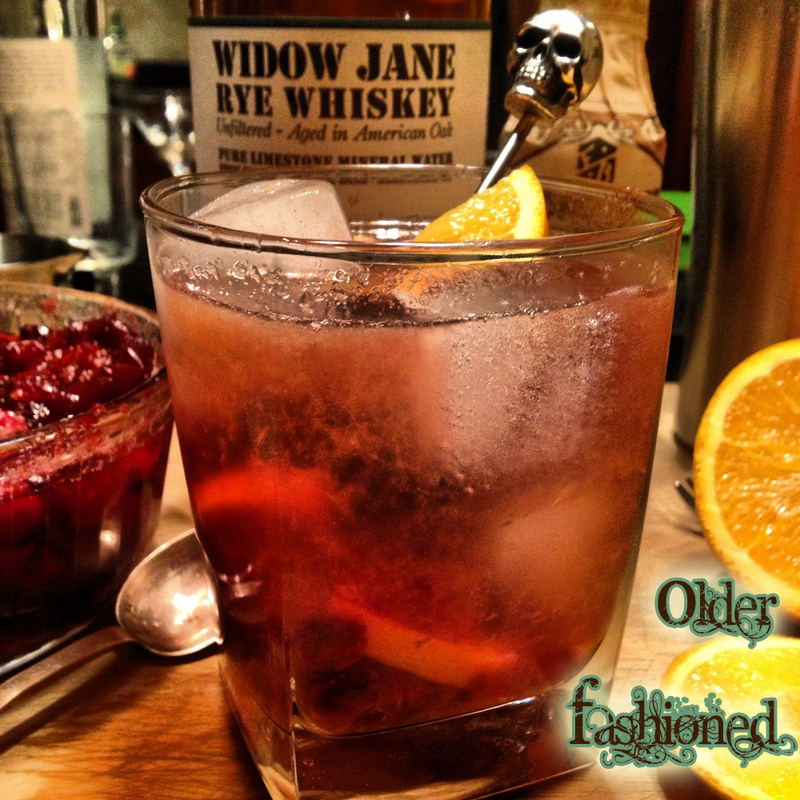 It makes a delicious Knickerbocker and a great Clover Club. It would also be lovely with some ice and seltzer to make your own natural fruit soda. 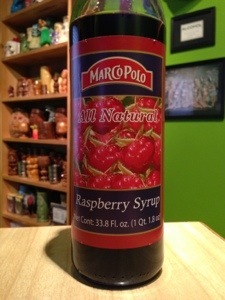 Watch this space as we explore Marco Polo’s other flavors! Most cocktail apps are atrocious conglomerations of misinformation and fratboy “recipes” that make us cringe or laugh out loud. The exception is Flip N’Drink, an app with recipes overseen by Gary Regan. The recipes contain interesting historical information as well as suggestions for similar drinks, and the photos are lovely. Up from the Depths it rises again! 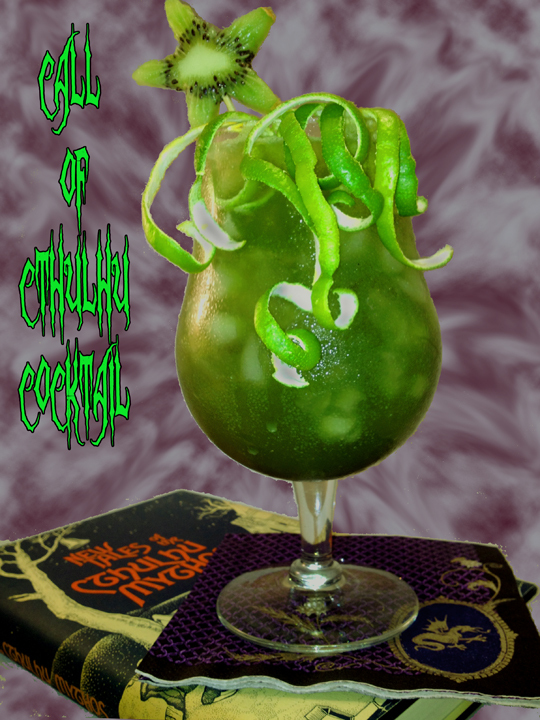 Since the beginning of our association in the Cocktail Lab, we have discussed our mutual desire to create a libation evoking the essence of the slumbering horror that is Cthulhu, the cosmic Old One first brought to the consciousness of man by New England author, Howard Phillips Lovecraft. But it couldn’t happen until the stars were right, and we had received the Elder Sign. The time has come. The Cocktail Vultures have been pleasing your palate for awhile now, but all is not fun and games here at the Lab. Last night we were possessed with an irresistible frenzy to mix, to mix well, and to taste a drink both powerful and beguiling. We have found it. 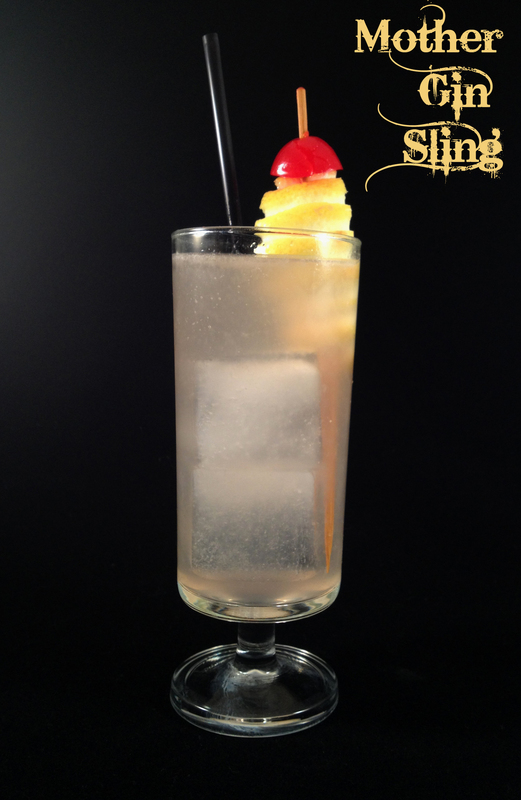 Maraschino lends, in simple terms, an Olde Time flavor to vintage and modern cocktails. Once you’ve tasted it in a recipe, you’ll always recognize its strangely compelling flavor. A little goes a looooong way. We can only recommend Luxardo as a brand because of the proprietary nature of the formula — it’s the real deal.